This is an Indian beaded chakla believed to be from the Kathi tribe in India. Beadwork (moti-bharat) was introduced into India through trades with East Africa in the 19th Century when Venetian Murano beads landed in western India. 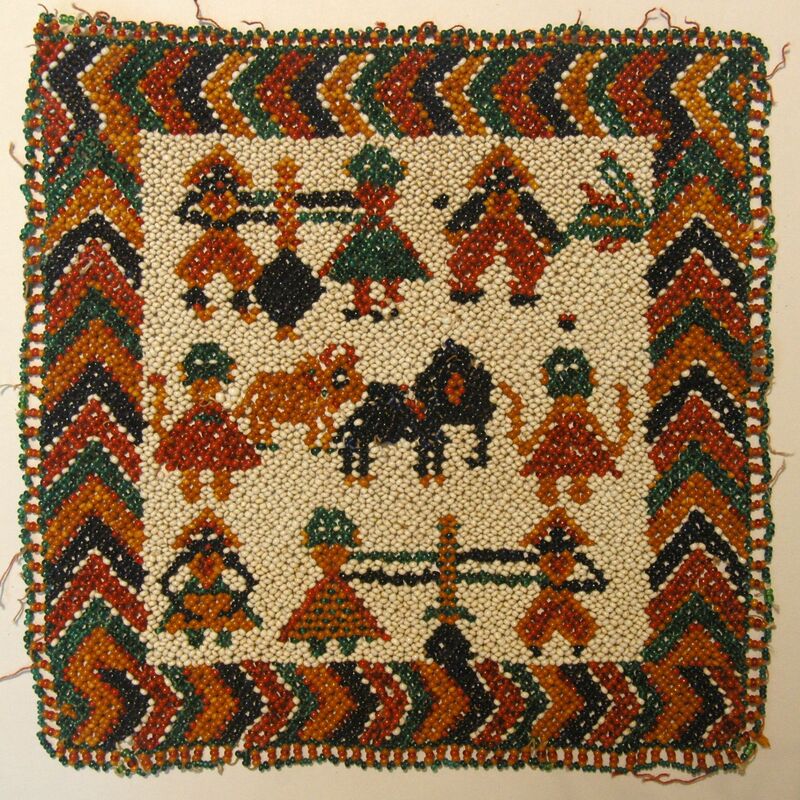 It became a very popular needlework craft among the Kathi women. These beadwork chakla would be traditional used as wall hanging decorations, usually over a door for attraction positive energy.